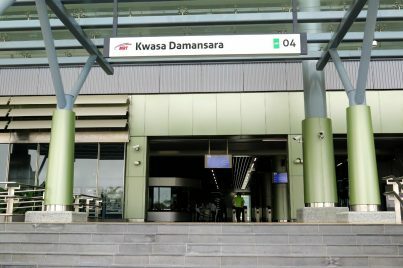 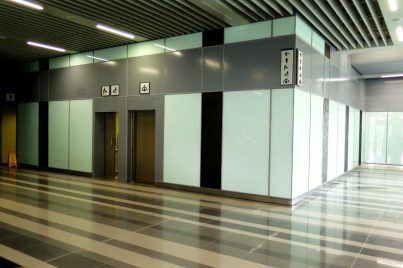 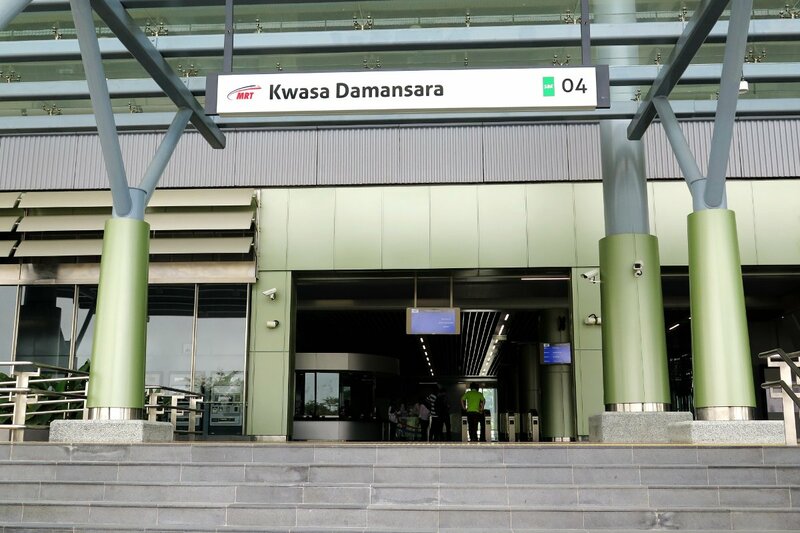 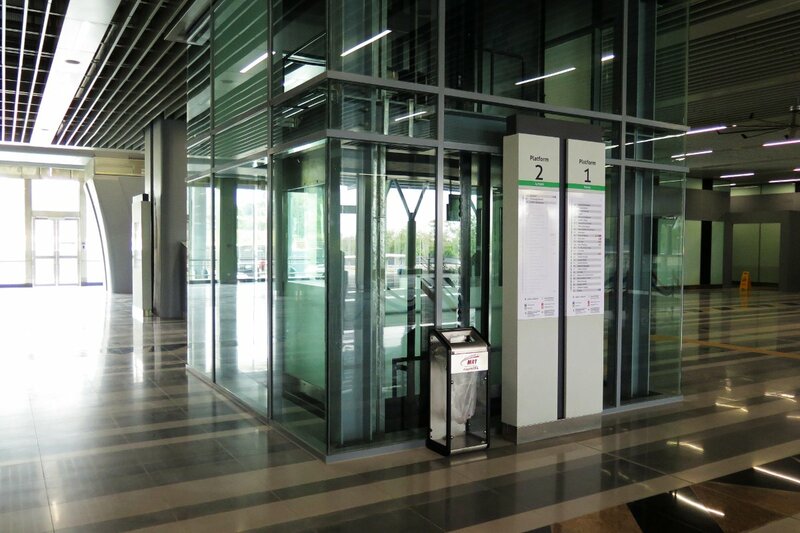 The Kwasa Damansara MRT Station is an MRT station that serves the suburb of Kwasa Damansara in Selangor. 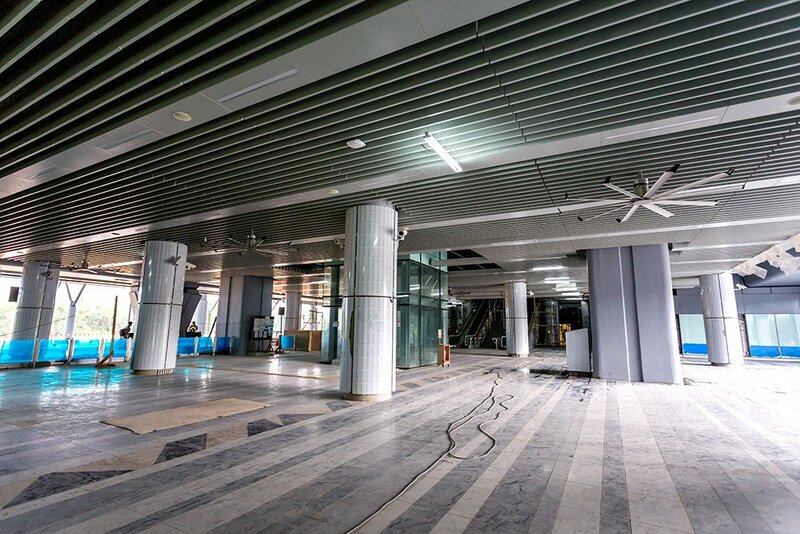 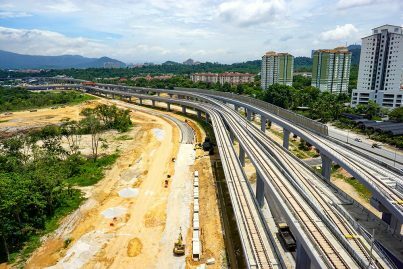 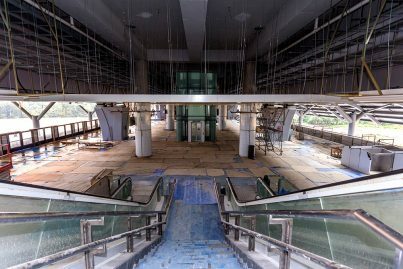 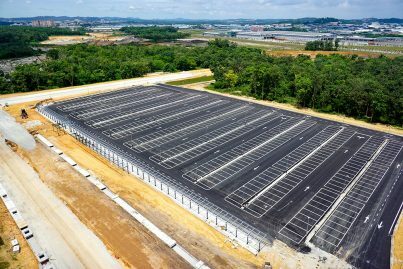 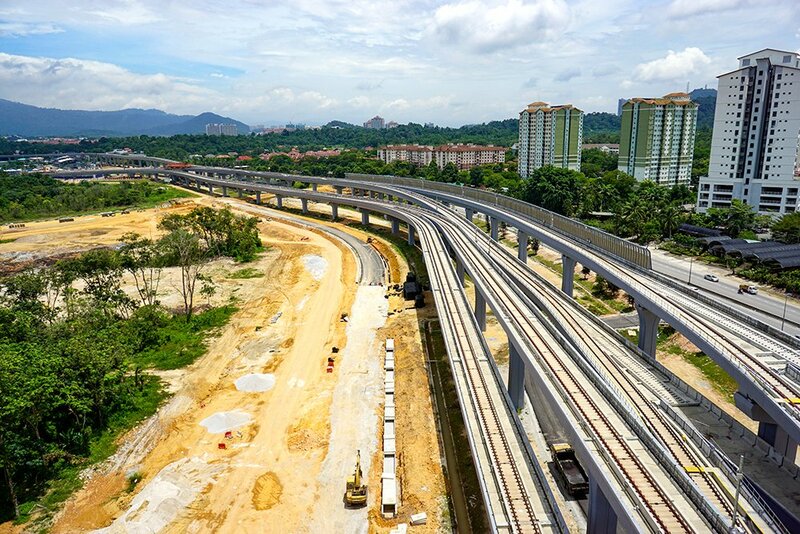 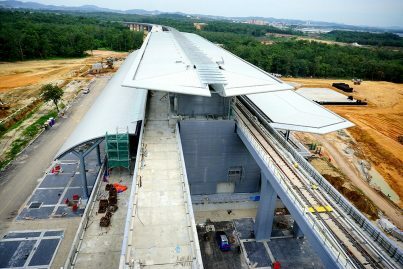 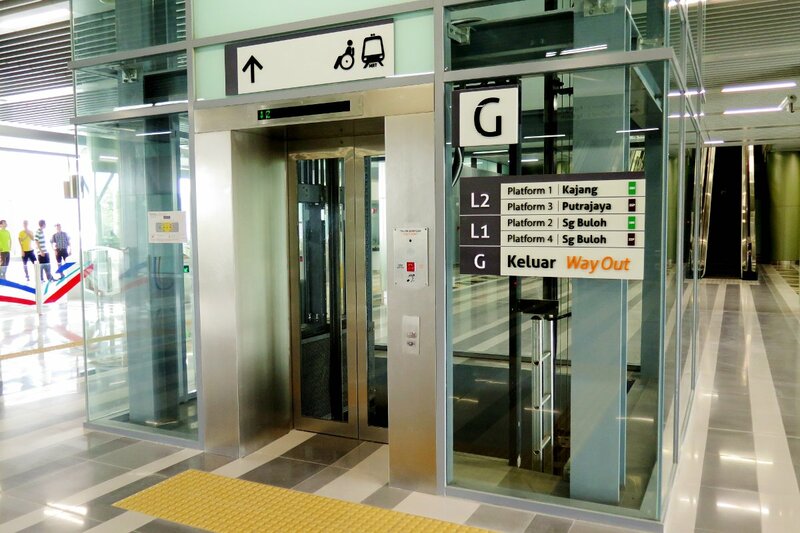 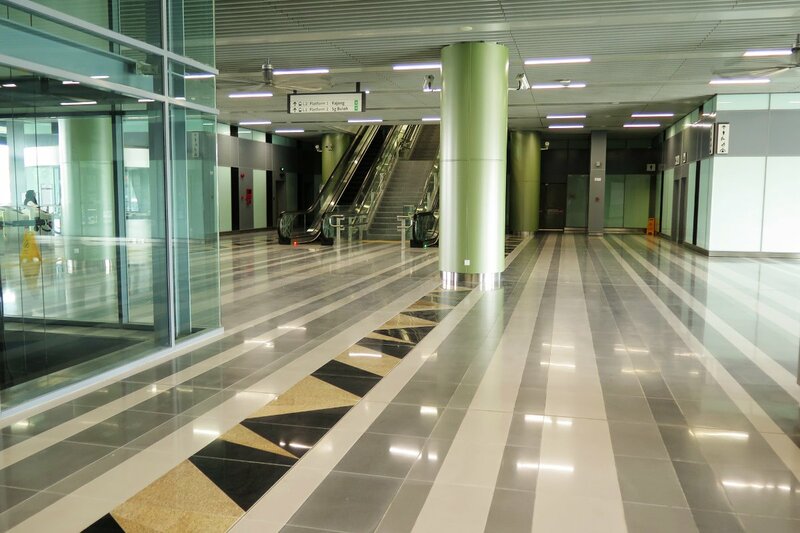 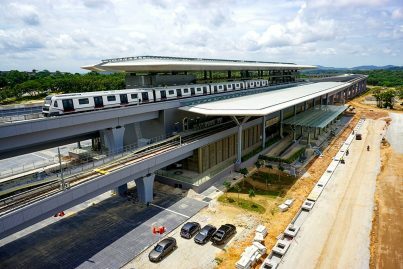 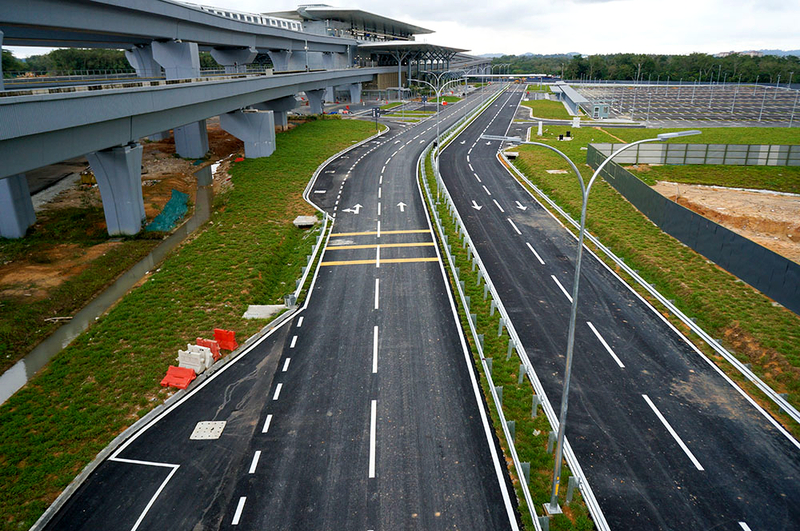 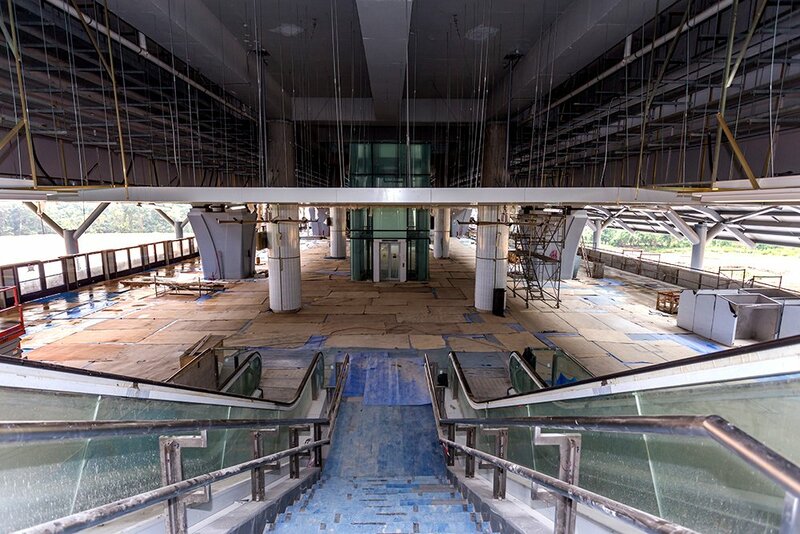 It is currently one of the stations on the Sungai Buloh-Kajang Line but will later become the interchange station between the line and the future Sungai Buloh-Serdang-Putrajaya Line which is scheduled to be opened in 2021. 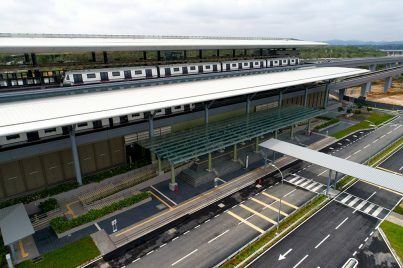 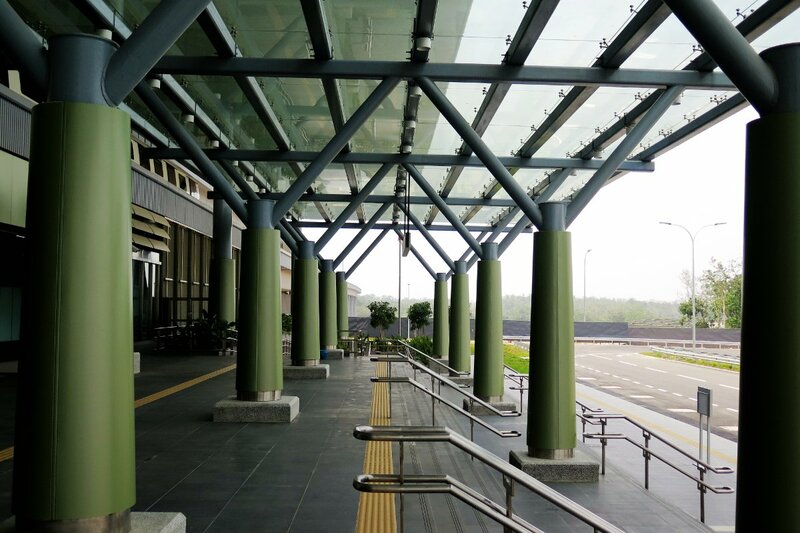 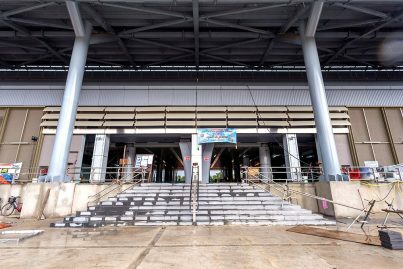 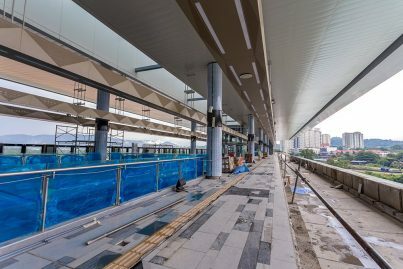 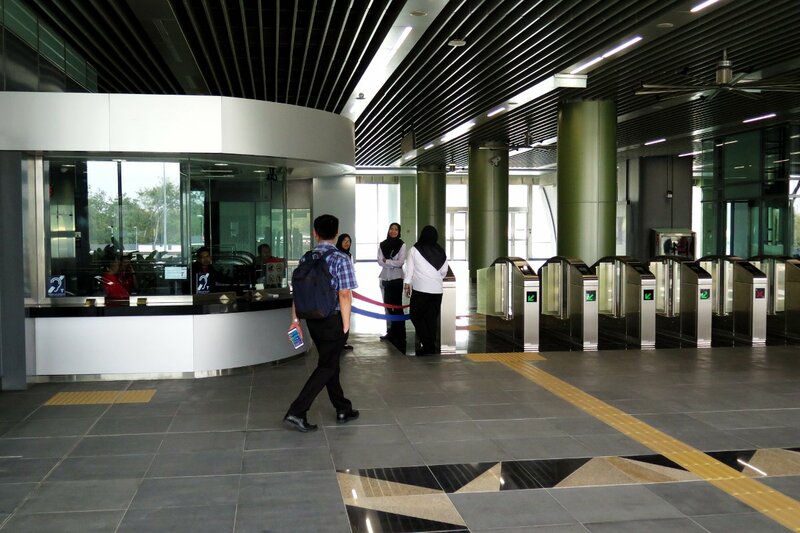 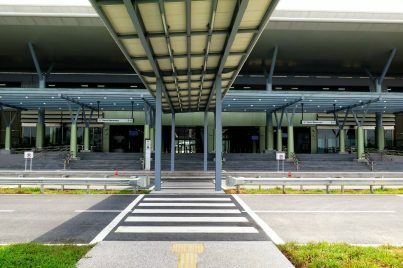 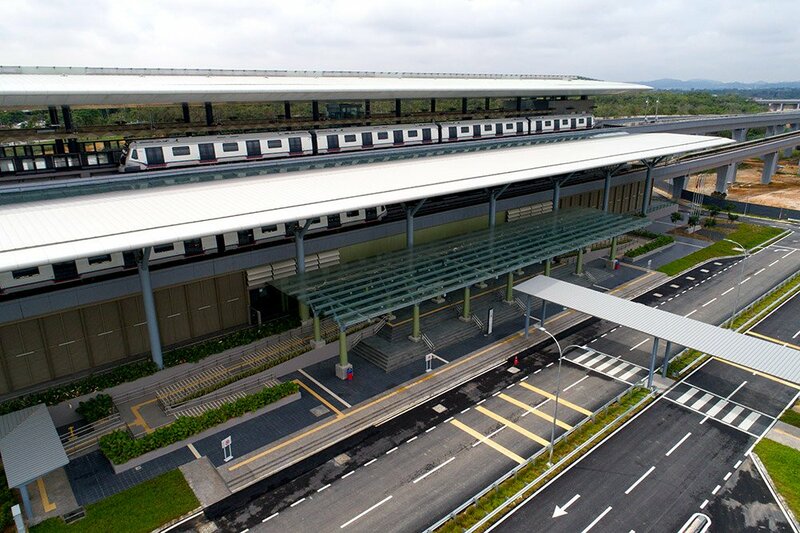 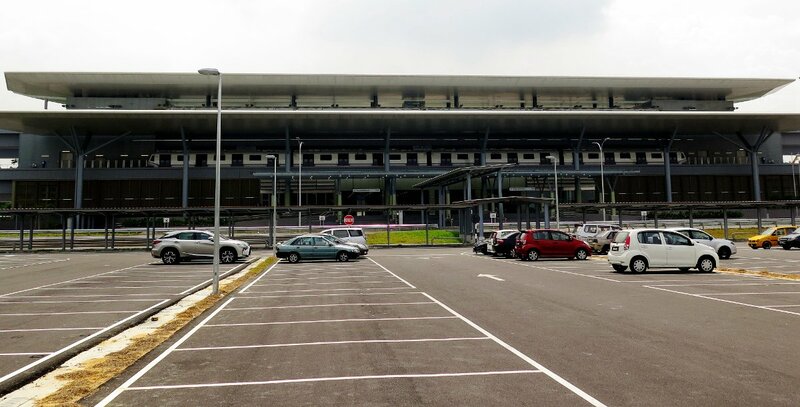 Although the tracks at the Kwasa Damansara station are elevated, the station building itself is at-grade, the only one of its kind on the MRT Sungai Buloh-Kajang Line. The station has three levels, with the ground floor being the concourse and the two floors above are platform levels. 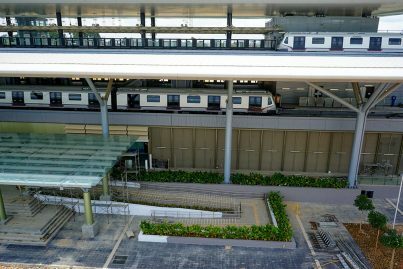 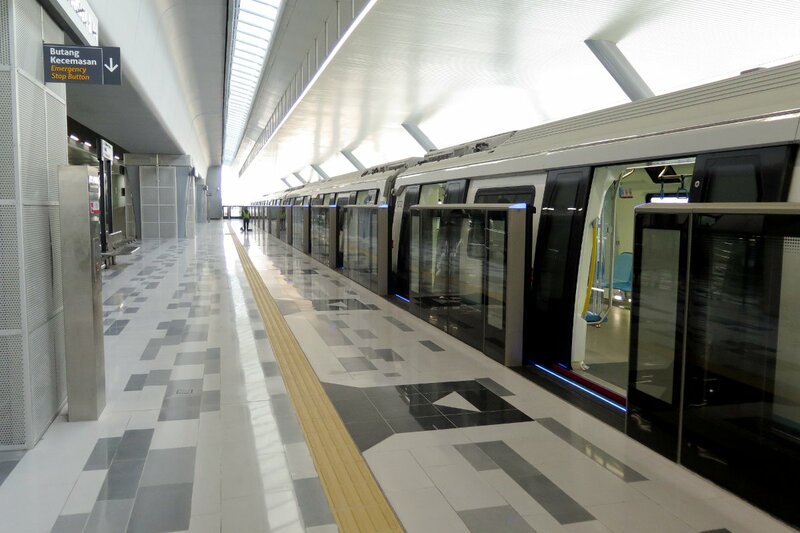 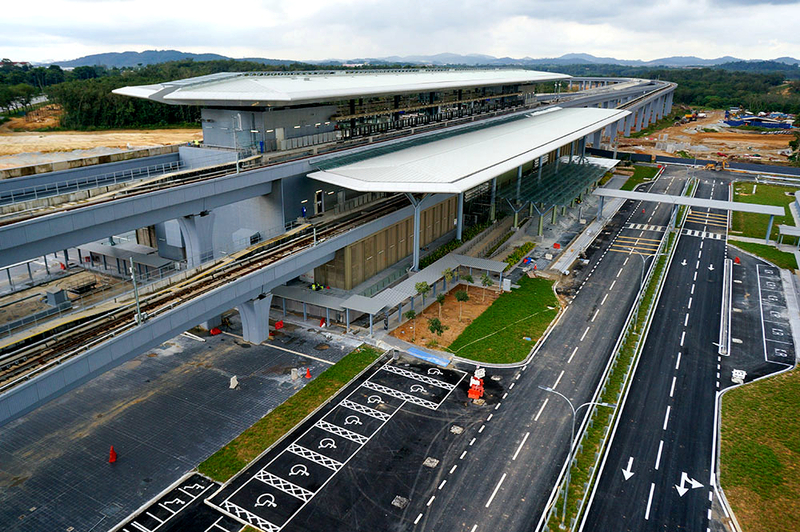 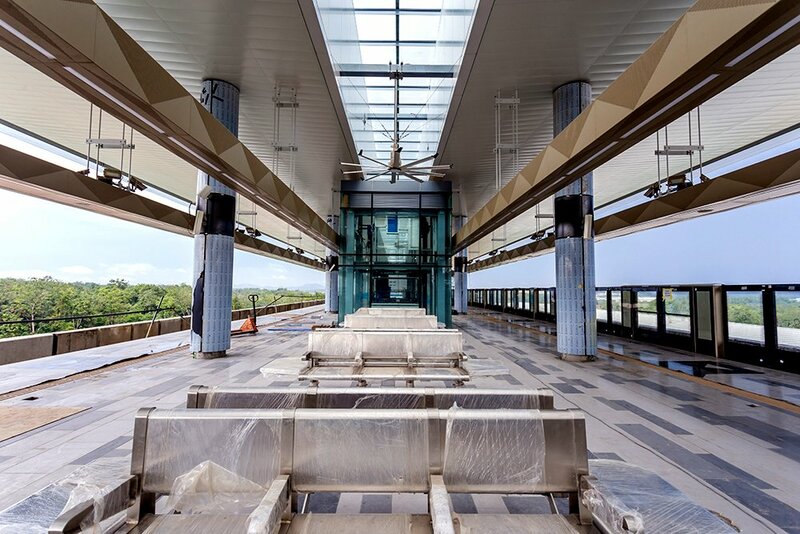 The two elevated platforms are island platforms, enabling this station to have four platforms so that it functions as the interchange station between the MRT Sungai Buloh-Kajang Line and the future MRT Sungai Buloh-Serdang-Putrajaya Line. 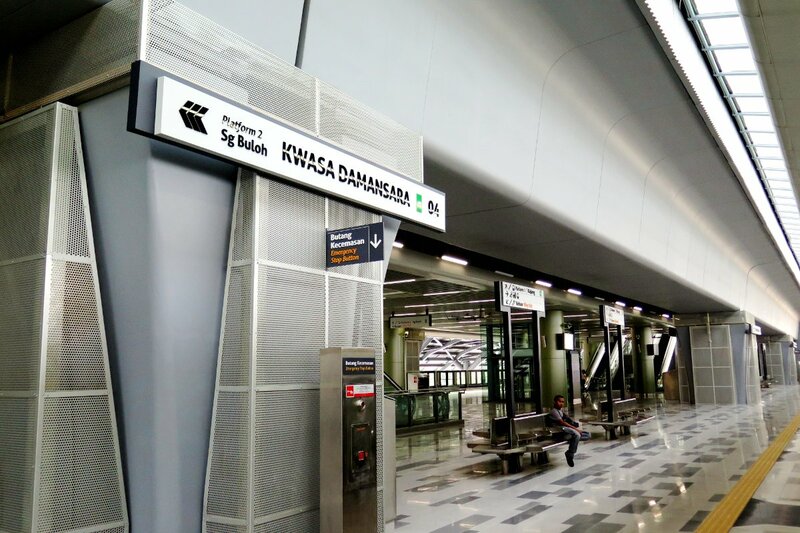 Presently, only Platform 1 for Semantan-bound trains on Level 2, and Platform 2 for Sungai Buloh-bound trains on Level 1 are being used.